Since we are located in NC, I was not surprised that several of my students had visited a church in which snake handling was a regular practice. When speaking of this issue I (somewhat sarcastically) joked about how a even a little knowledge of textual criticism could be very helpful for determining certain Christian practices. 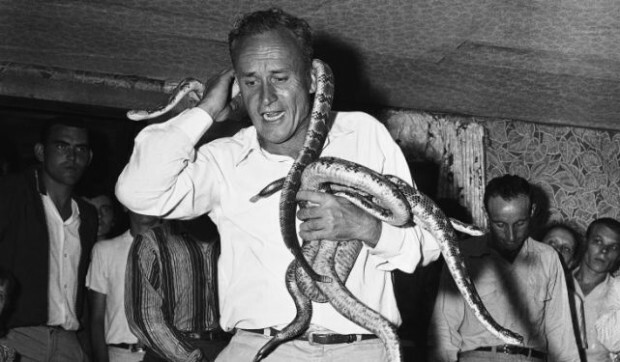 Then today I saw this story about a reality show snake-handling pastor from Kentucky who just died from an untreated poisonous snake bite. To seminary and divinity students I say (with a certain level of seriousness), truly a little bit of textual criticism can go a long way. Nijay, is this really a text criticism issue? If the long ending of Mark did turn out to be the original one, would you say snake handling is a suitable expression of Christian worship? Bill, thanks for your comment. This is Chris (rather than Nijay) since I’m the one who created this post. No, I don’t think it’s JUST a text criticism issue, but I do think that–since many Christians allow their practices to be shaped by specific Scriptures–we should use tools like textual crticism to nuance and sharpen our understanding of the biblical text. Of course, this death by snake handling is an extreme example, but we need to recognize the power certain Scriptures hold over certain groups (even those that don’t belong in the canon).